Last Third: Tanned leather, burnt crust, light spice, wood, more bread–slightly gamey–finishes with a kick. 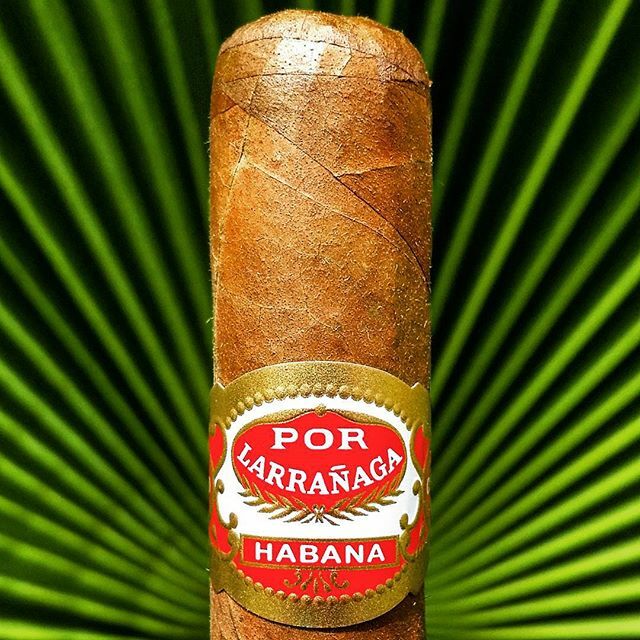 Typical Por Larrañaga toasted bread, vanilla, nuttiness. This particular vitola also sports a lightly spicy, burnt-bread aftertaste-a bit atypical of other Por Larrañaga vitolas. It also has a slightly gamey undertone. A vitola to be savored over a medium bodied Cuban rum, or after a heavier lunch. A nice 1 hour interlude. Perfect ring gauge to length. I first tasted this cigar on a beautiful afternoon in Havana. I’d wanted to get my hands on it because I am a great lover of the Hermoso No. 4 vitola, and also the Por Larrañaga brand. I’ve always loved the distinctly nutty, caramel and toasted bread flavors of Por Larrañagas–in particular the Petit Coronas in Cabinets of 50. On this particular day, I had traveled around Havana visiting all the best cigar shops (La Casa del Habanos). 9 in total. I picked up a box of the Picadores at the La Casa del Habanos at the Hotel Nacional. The hotel is a tourist trap for sure, but the cigar shop is one of the best in Havana. I decided to light up outside at the bar, and splurged on a glass of Santiago de Cuba 25 year old rum. At first glance, the Picadores has lots in common with the other vitolas under the brand. Aromas of nuts, caramel, light wood and toasted bread. A lingering finish. But what set this vitola apart from the rest of the line was the spice and the slightly gamey flavor. It reminded me a little bit of an H. Upmann Petit Corona, but a little more subtle. SIDE NOTE: Por Larrañaga is one of my favorite brands, but there isn’t much to choose from because they only have 2 long filler, handmade vitolas in their portfolio–the Petit Corona and the Montecarlo. A somewhat recent release is the Encantos Exclusivo Asia Pacifico, a dalia (8-9-8 varnished packaging), which was limited edition and only released to selected markets. I have been hoarding a couple boxes.